Foodie fans can look forward to a dining experience with a difference this spring following the launch of the first city-wide Glasgow Restaurant Festival. The Glasgow Restaurant Festival kicks off with a unique secret dining experience from Glasgow’s favourite guerrilla chefs in a beautiful vintage Spiegeltent on Candleriggs Square in the Merchant City. Seating up to 200 people, the Spiegeltent will also offer a side of entertainment, with live music, DJs and other performances planned. A nine-hole crazy golf course will also be located on Candleriggs Square, alongside a converted horse-box wine bar. From the 1st April to the 17th April, the Spiegeltent will become the city’s ultimate pop-up dining venue, taking diners on a culinary adventure with a different pop-up restaurant every day. Foodie lovers will be able to sample delights from popular Glasgow restaurants including Porter and Rye, TASTY by Tony Singh, Red Onion and 111 by Nico. 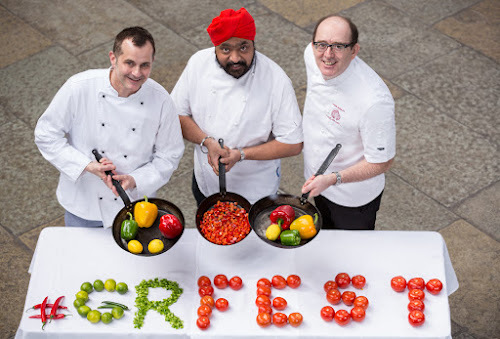 To conclude the Glasgow Restaurant Festival, Dining In The City will run between the 18th and 24th April, allowing diners the opportunity to sample specially-priced menus at over 60 of the city’s best restaurants. The Glasgow Restaurant Festival will also see the city’s restaurants play host to a range of special foodie events. Full details of participating restaurants will be revealed shortly. Tickets for the Spiegeltent have officially gone on sale today (Wednesday, March 9th) with the help of Tony Singh from TASTY by Tony Singh at Alea Casino, Derek Marshall from Gamba and John Quigley from Red Onion. Priced £5 per person, a ticket secures entry to the Spiegeltent, a welcome drink and live entertainment. Diners will then enjoy dishes priced between £6 and £9 during the Secret Dining experience or a special set menu priced at £15 or £25 during the Pop-Up Dining period. 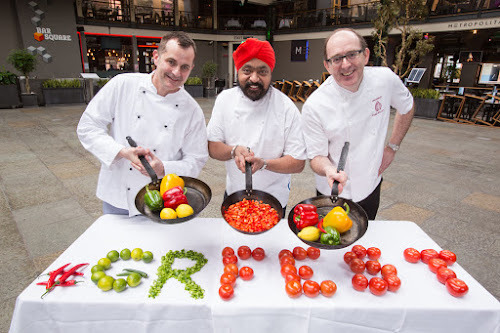 The inaugural Glasgow Restaurant Festival is the result of a collaboration between Glasgow City Marketing Bureau (GCMB), Scottish Enterprise and the Glasgow Restaurant Association (GRA). Commenting on the launch, Ryan James, chair of the Glasgow Restaurant Association, said: “Glasgow has one of the most vibrant dining scenes in the country and we’re very lucky to host so many great chefs and restaurants in the one city. 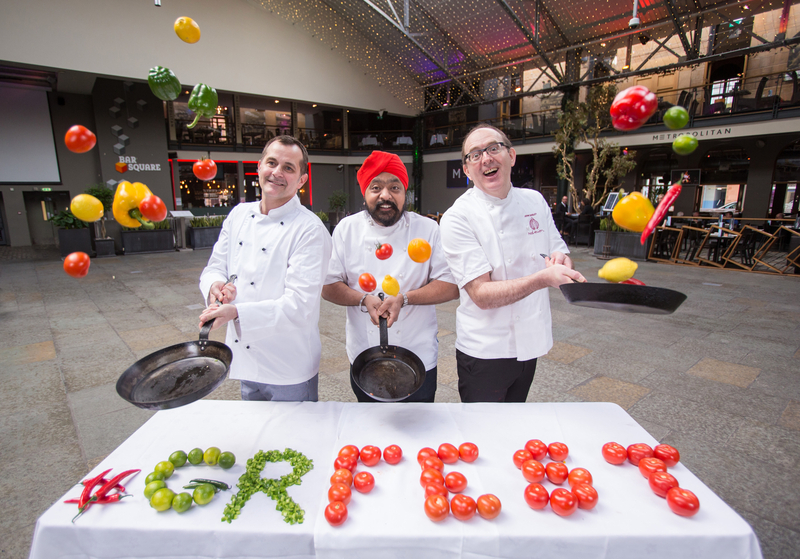 Councillor Frank McAveety, Leader of Glasgow City Council and Chair of Glasgow City Marketing Bureau, said: “The launch of the first city-wide GlasgowRestaurant Festival really shines the spotlight on the vibrancy and diversity of our incredible dining scene. We have new eateries opening every week adding to an impressive portfolio of dining options in the city; ranging from traditional Scottish cuisine to Bib Gourmand. “We were recently named by travel industry bibleNational Geographic Traveler as one of the world’s must visit destinations for 2016 and our outstanding restaurants play a pivotal role in that; creating enjoyable experiences for the millions of leisure and business visitors travelling to the city every year. Glasgow’s growing reputation as a food and drink destination was evident in last year’s announcement by the inaugural Market Growth Monitor from AlixPartners and CGA Peach, which stated that Glasgow was the fastest-growing city in the UK for new bar and restaurant openings outside of London, with 25 new openings in the first six months of 2015. For more information on the Glasgow Restaurant Festival and to book tickets for the Spiegeltent pop up restaurant, visit www.glasgowrestaurantfestival.co.uk.